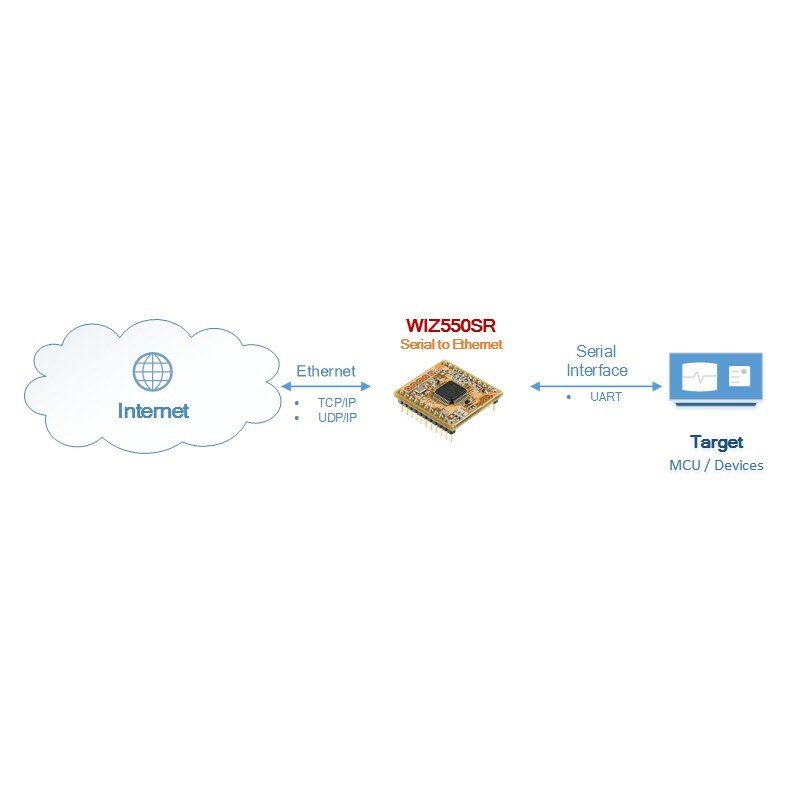 WIZ550SR is the protocol converter that transmits the data sent by serial equipment as TCP/IP data type, and converts back the TCP/IP data received through the network into serial data to transmit back to a serial equipment. It complies with industrial temperature standard and supports the serial interfaces of UART. WIZ550SR is is compatible with the Configuration Tool of WIZ550S2E and WIZ550WEB, and will use the same AT Command. However, Configuration Tool must use the latest version. 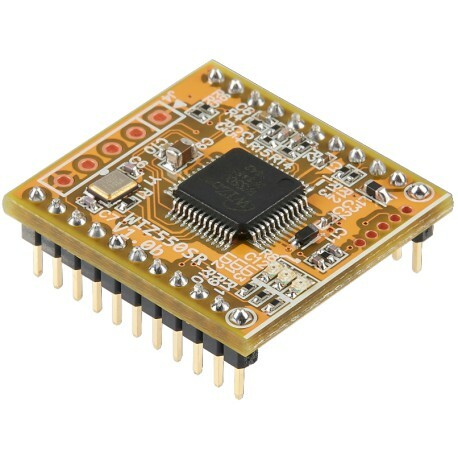 Very small size Serial to Ethernet Module. 22mm x 24mm x 13mm. Will be supported the RS-422/485 Interface. Support the PHY Status Output. RESET : System Reset, Active Low. BOOT0 : MCU BOOT mode operation, Active High. H/W TRIG : App BOOT mode operation, Active Low. Support the Pin Header Hole for firmware upload. Support the Pin Header Hole for SWD. Include eeprom for data storage. Support the AT Command for the set of WIZ550SR. Support the WIZ VSP (Virtual Serial Port).